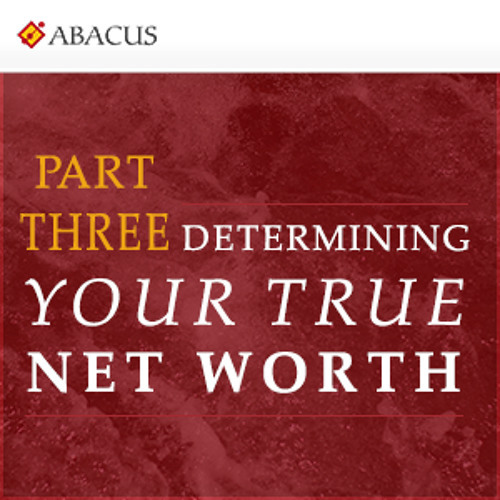 Abacus CEO Spencer Sherman discusses the various facets of our true net worth, including creativity, sense of humor, cultural and spiritual wealth, friends and family, and our health, and explains how a broader understanding of wealth can help us live richer, more peaceful and happier lives. Abacus Wealth Partners is an SEC Registered Investment Adviser. A copy of our current written disclosure statement discussing investment risks, our advisory services, and fees is available for your review upon request. Nothing in this publication should be construed as investment, legal or tax advice. Please contact an attorney regarding specific legal questions about your trust or estate plan.